Winn, Marie (ed). 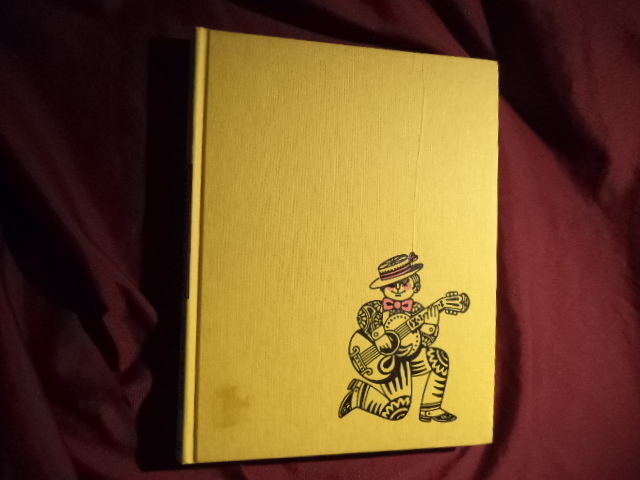 The Fireside Book of Children's Songs. Photo available. New York. Simon and Schuster. 1966. 4to. Hard cover. Second edition. Illustrated in black, white and color. Fine copy (large owner name on end paper). Winn, Marie (ed). 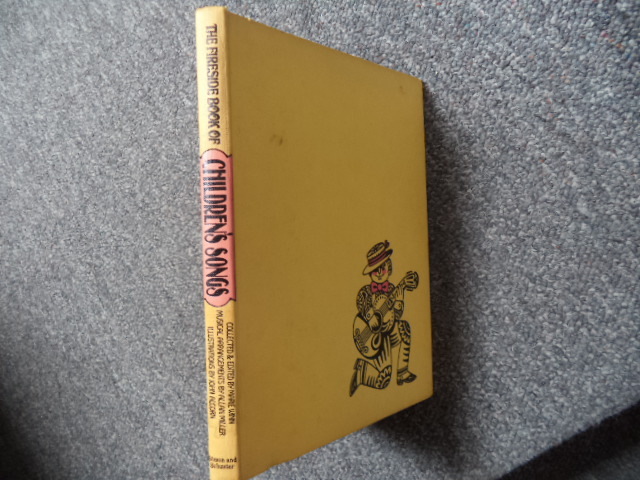 The Fireside Book of Children's Songs. Photo available. New York. Simon and Schuster. 1966. 4to. Hard cover. Second edition. Illustrated in black, white and color. Fine copy. Winthrop, Elizabeth. Dumpy la Rue. New York. Henry Holt. 2001. Octavo. Hard cover. First edition. Illustrated in black, white and color by Betsy Lewin. Fine copy in fine dust jacket (in mylar). Winthrop, Elizabeth. Sledding. New York. Harper & Row Pub. 1989. 30 pps. Octavo. Hardcover. First edition. Illustrated in color and black & white by Sarah Wilson. Fine copy in near fine dust jacket (in mylar). Wisdorf, Anne. Princess. New York. Greenwillow. 1991. Octavo. Hard cover. First edition. Illustrated in black, white and color. Fine copy in fine dust jacket (in mylar). Wisniewski, David. Golem. New York. Clarion. 1996. 4to. Hardcover. First edition. Illustrated in color and black & white. Fine copy (owner name on end paper) in fine dust jacket (in mylar). 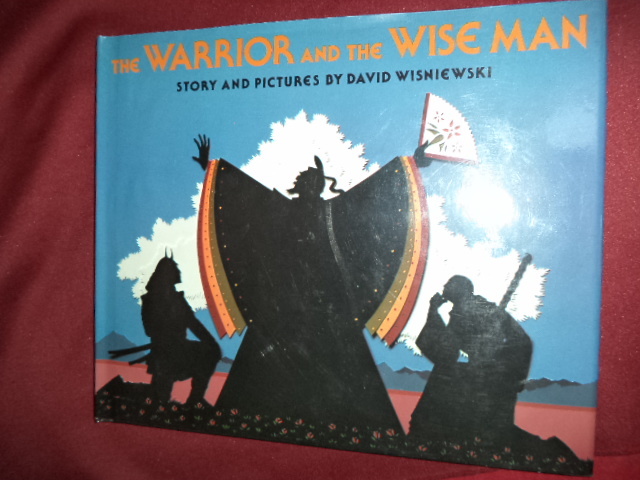 Wisniewski, David. The Warrior and the Wise Man. Inscribed by the author. New York. Lothrop, Lee & Shepard. 1989. Octavo. Hard cover. First edition. Illustrated in black, white and color. Inscribed by the author. Fine copy in fine dust jacket (in mylar). Wolff, Ashley and Gerald Hausman. How Chipmunk Got Tiny Feet. Inscribed by the Ashley Wolff. Native American Animal Origin Stories. New York. HarperCollins. 1995. Octavo. Hard cover. First edition. Illustrated in black, white and color by Ashley Wolff and inscribed by Wolff. Fine copy in fine (small closed tear on edge) dust jacket (in mylar). Wolff, Ashley. A Year of Beasts. Inscribed by the author. New York. E.P. Dutton. 1986. Octavo. Hard cover. Reprint. Illustrated in black, white and color. Inscribed by the author. Fine copy in fine dust jacket (in mylar). Wolff, Ashley. The Bells of London. Inscribed by the author. New York. Dodd, Mead & Co. 1985. 4to. Hard cover. First edition. Illustrated in black, white and color. Inscribed by the author. Fine copy in fine dust jacket (in mylar). Wong, Benedict Norbert. Lo & Behold. Good Enough to Eat. San Francisco. Taiji Arts. 2003. Octavo. Hard cover. First edition. Illustrated in black, white and color. Fine copy in fine dust jacket (in mylar). Wood, A.J. Bear's Special Birthday. Dorking. Templar. 2001. Octavo. Hard cover. First edition. Illustrated in black, white and color by Lorna Hussey. Fine copy in fine dust jacket (in mylar). Wood, AlJ. The Little Penguin. Photo available. New York. Dutton. 2002. Octavo. Hard cover. First edition. Illustrated in black, white and color by Stephanie Boey. Fine copy in fine dust jacket (in mylar). Wood, Audrey. 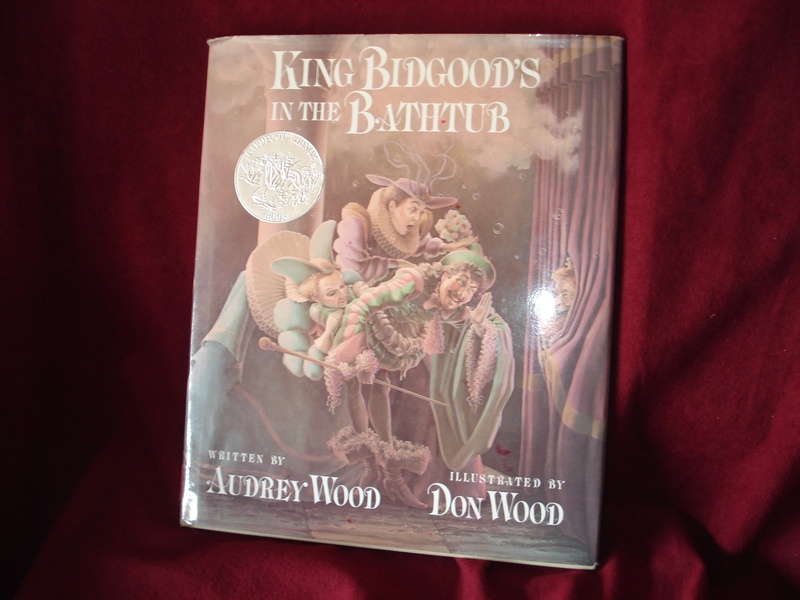 King Bidgood's in the Bathtub. Photo available. San Diego. Harcourt, Brace & Co. 1985. Octavo. Hard cover. Reprint. Illustrated in black, white and color by Don Wood. Fine copy in fine dust jacket (in mylar). Wood, Audrey. The Napping House. New York. Scholastic. 1984. Octavo. Hardcover. Reprint. Illustrated in color and black & white by Don Wood. Fine copy in fine dust jacket (in mylar). Wood, Audrey. The Napping House. San Diego. Harcourt, Brace & Jovanovich. 1984. Octavo. Hardcover. Reprint. Illustrated in color and black & white by Don Wood. Fine copy (owner name on end paper) in fine dust jacket (in mylar). Wood, Douglas. Old Turtle. Duluth. Pfeifer-Hamilton. 1992. Octavo. Hardcover. First edition, later printing. Illustrated in black, white and color by Chen-Khee Chee. Fine copy in fine dust jacket (in mylar). Wood, Douglas. Old Turtle. Photo available. Duluth. Pfeifer-Hamilton. 1992. Octavo. Hardcover. First edition, later printing. Illustrated in black, white and color by Chen-Khee Chee. Fine copy in fine dust jacket (in mylar). Wood, Douglas. Old Turtle. Photo available. Duluth. Pfeifer-Hamilton. 1992. Octavo. Hardcover. Reprint. Illustrated in black, white and color by Chen-Khee Chee. Fine copy in fine dust jacket (in mylar). Wood, Douglas. What Dads Can't Do. New York. Simon and Schuster. 2000. Octavo. Hard cover. First edition. Illustrated in black, white and color by Doug Cushman. Fine copy in fine dust jacket (in mylar). Wood, Jakki. One Bear With Bees in His Hair. New York. Dutton. 1990. Octavo. Hard cover. First edition. Illustrated in black, white and color. Fine copy in fine dust jacket (in mylar). Wood, Nancy. 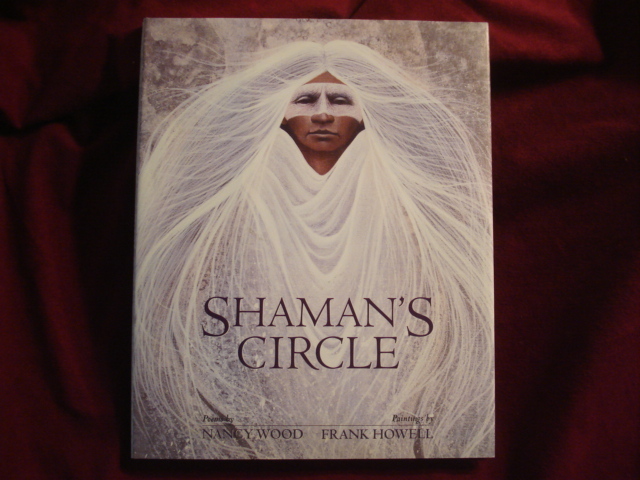 Shaman's Circle. Photo available. New York. Doubleday. 1996. Octavo. Hard cover. First edition. Illustrated in black, white and color by Frank Howell. Fine copy in fine dust jacket (in mylar).